March 2016 is one of those months which sets a very high precedents making it hard for any month to follow. Not only do we finally get to see Batman Vs Superman one of the most anticipated movies for the last, well ever. If that wasn’t enough Netflix is releasing all of Daredevil season 2 all in one weekend which makes that tiny yearly subscription more than worth it. I’d probably pay it just to watch Daredevil over the March 18th weekend and take the other 363 days of the year as a bonus. The first season of Daredevil on Netflix delivered an amazing story acted out by an equally amazing cast. The whole setup of the show was well put together and thought out. Although they couldn’t reference any of the Avengers by name gave us just enough hints to tie them all together although I think the universe that Netflix universe has a lot more going for it right now. 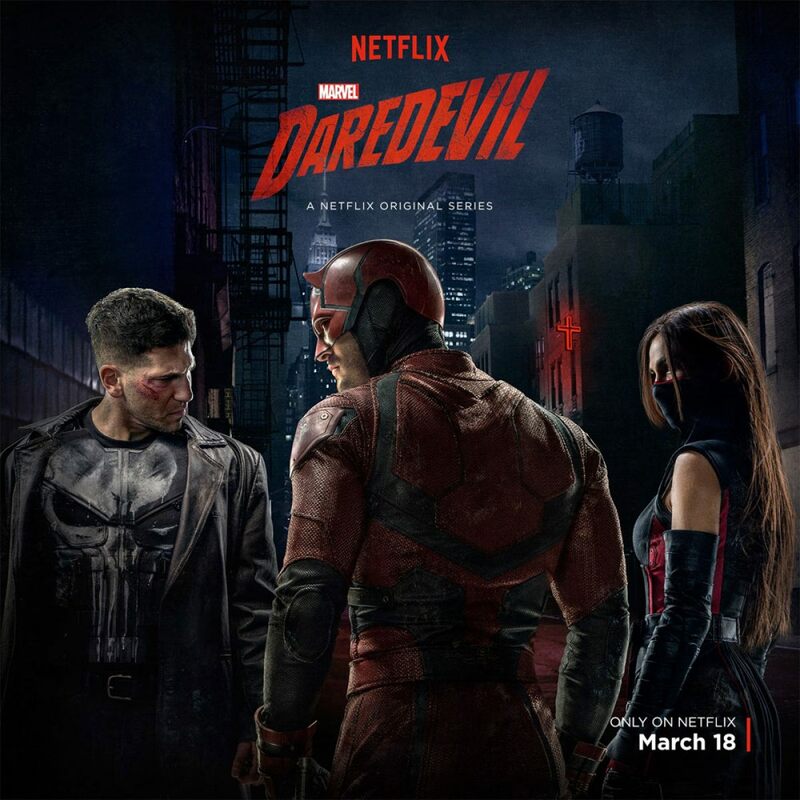 With season 2 of Daredevil we get introduced to a new Electra and Punisher. Although I did question Jon Bernthal being cast as the Punisher at first the latest picture makes him look the most Punisher of any of the Frank Castle actors over the years. Thanks to the latest picture from the show we get a clear look at the iconic skull insignia the Punisher which makes him the closest thing to Batman in the Marvel world. Come March 18th Netflix will release thirteen episode series all over the world which I think is the future of comic book TV shows. It’s going to be one epic weekend just before BvS comes out in most places on the 25th of March.